THIS ITEM IS NOT AVAILABLE AT PRESENT. WE WILL NOT BE GETTING ANYMORE Star Wars The Last Jedi BB-8 6.5 Inch Super Deformed Plush. From the Star Wars The Last Jedi collection by Comic Images. 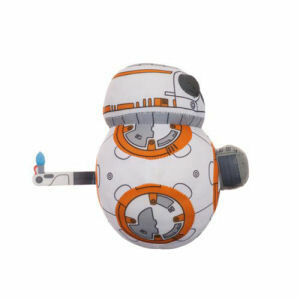 Star Wars The Last Jedi BB-8 6.5 Inch Super Deformed Plush. This huggable plush measures 6.5 inches tall. Ages 3 and up.